Rhinestone earrings are extremely popular simply because you can get the look of diamonds for a fraction of the cost. Rhinestones are often the choice for weddings, proms and festive occasions simply because the are impressive looking pieces without costing a fortune. Rhinestones allow us to wear large single stone earrings or earrings with dozens of stones that sparkle and shine much like a diamond. But, our secret is safe. Most people simply cannot tell the difference between the two, especially if they are set in a metal setting that won’t fade or tarnish. Every woman has her own style! Some women like dangle earrings, some like studs, some like hoops and some like a large variety, so they can select the style that best accents whatever they are wearing for the day. I fall into the last category and enjoy wearing them all. Which I prefer, really does depend on the outfit or the function I will be attending. I have tried to include something here for everyone and every pocketbook. Let’s start my defining what rhinestones are today. Originally, rhinestones were literally crystal rocks that could be found in the river Rhine. That is obviously the origin of their name. 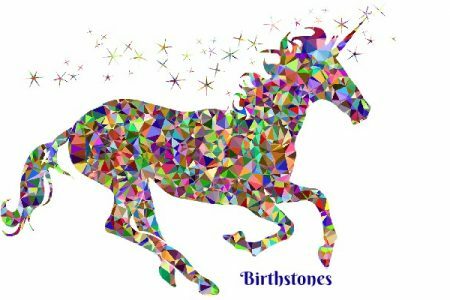 However, today rhinestones include a greater variety of stones that are clear, high luster stones made from rock crystal, brilliant glass or even paste. They are very often gorgeous imitators of diamonds and much more affordable. 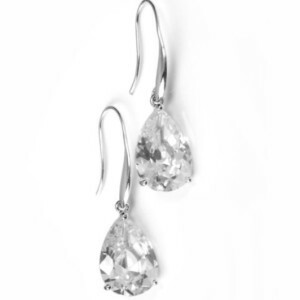 These stylish drop earrings are beautifully designed with over 2 inches of sparkling clear crystal rhinestones. The setting is hypoallergenic for those of us who have sensitive ears. This style is perfect for formals, proms or weddings, but would certainly dress up a simple blouse worn with a pair of jeans for a fun night out on the town. They really are quite lovely! These days, just about everyone is familiar with the name Swarovski and know the quality of their crystal. These crystal rhinestone earrings by Swarovski are a really stunningly gorgeous set of earrings, and they are extremely popular too! They feature one large center crystal rhinestone surrounded by a dozen or so smaller faceted stones cut to catch the light so they will sparkle. The earring shown are 20mm, which is 3/4 of an inch. These earring are also available in smaller sizes. Simply select the size that is best for you. Most rhinestones today are simulated jewels and are not really very durable. Over time, light, body oils etc. will take their toll. You must NOT use any solvents or water on rhinestone jewelry. Instead use a very soft cloth and a small amount of alcohol to clean your rhinestone jewelry. There are many styles in rhinestone earrings and some that are really quite extraordinary! Either of these pairs of earrings would be fun to wear depending on the occasion or event. Actually, most of the rhinestone earrings featured here would be appropriate for just about any occasion, although there are a few pairs that should be saved for just the right event or party.